First of all I want to apologize to those folks who came to the CLIME meeting in San Diego and didn’t find me there. There was some confusion about the rooms. I was in room 310B which I thought was 310. The actual room was 310A which I wasn’t aware existed. Patricia Dickenson - our intended keynote speaker - told me about my confusion later that evening. President and NCTM representative must be members of NCTM. Attendance by NCTM rep and/or president at the at-large caucus held on the Wednesday before the annual conference starts. Attendance at the Delegate Assembly held on Thursday (7:30am-9:00am) during the annual conference. 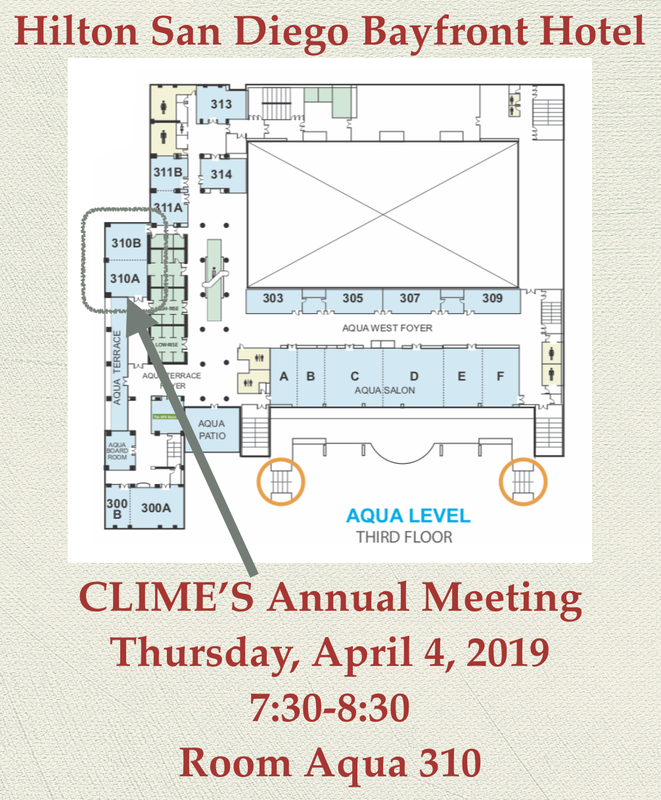 I still believe an organization like CLIME can serve a purpose within the NCTM structure, but it needs new leadership and energy to perform successfully within the conservative framework that NCTM offers. 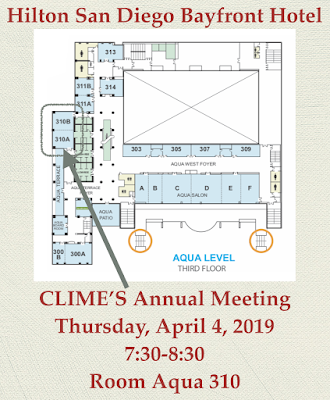 If anyone strongly agrees and would like to lead and/or play a role in a renewed CLIME initiative, please let me know. Teachers' pedagogical decisions impact the function of technology and the role of technology to support, enhance and supplement student learning. This presentation will focus on the following questions: What planning decisions do teachers make to implement technology in the classroom? How is technology used by the teachers and students in the learning of mathematics? What routines and procedures are needed to support in developing technological skill before students can integrate technology with subject matter. Teachers' technological content knowledge is paramount to the successful integration of technology. This discussion will explore pedagogical decisions that were made to infuse technology in a math class. We will discuss how technology can be purposefully used in connection with Blooms taxonomy to support learners in acquiring math content knowledge and create products of learning with web-based tools. 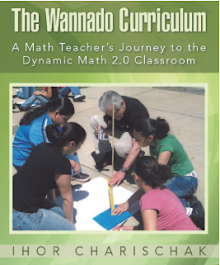 Making mathematics engaging for children is essential for math education to flourish. In this presentation you will learn about some fascinating ways to deepen students understanding to what math is all about (with the help of technology, of course)! 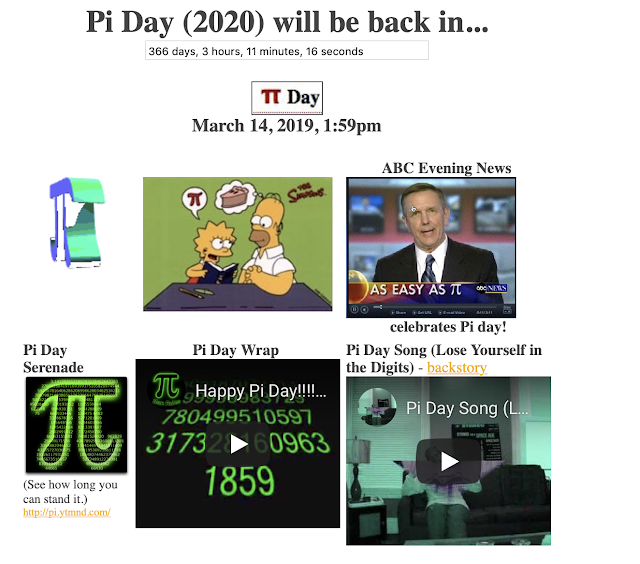 Click above to go the Pi page. As mentioned in my previous blog post, there are 94 sessions which emphasize technology’s role in math ed in their sessions. I did an analysis of the grade levels of the talks. 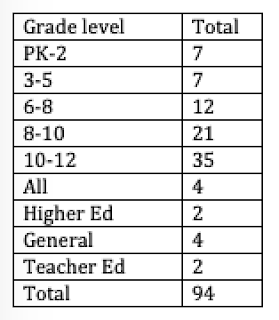 In figure 1 note that the most frequent grade level for tech sessions at the NCTM annual this year is in the high school range. If you include the 8-10 range as partially high school you have a total of 56 sessions appropriate for a high school audience.That’s almost 60% of the total. I suspect the conference program committee missed this fact. 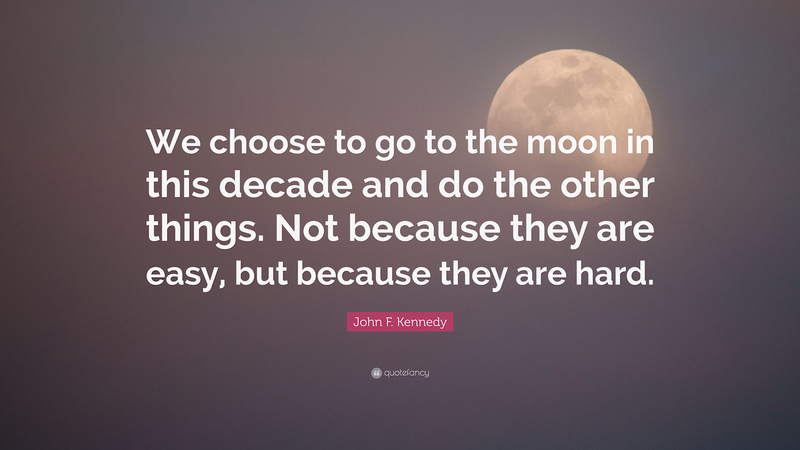 There is no question that going to the moon in 1969 was hard, but what's even harder today is making math learning extraordinary. Imagine if we could make the common student statement "I'm not good at math" disappear. It sounds impossible, but it really isn't; it's just plain hard. 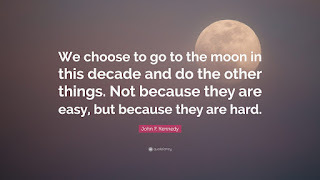 John Kennedy put a deadline (end of the decade-1960s) on when man would descend on the moon. We as teachers should do the same so we have a target when we'll solve the math problem. The educational gurus have tried to do this before (e.g. No Child Left Behind) and have failed because the goals set forth were not realistic. So what is a realistic goal for math education? Larry Cuban makes a distinction between complex and complicated problems. See link. Complex hard is different from complicated hard in dealing with problems to solve. The latter can be done through systematic planning and human control. A complex system is more like getting a student to succeed in school. In math education (ME) we tackle this complex system and don't do very well. (See this.) We could make ME complicated if we stood the current ME on its head and opted for a more student friendly curriculum. For example, what would happen if we created "textbooks" that kids actually wanted to read instead of our current textbooks which focus on what teachers think students ought to endure because like spinach it's good for them? It's possible, but not very likely because solving ME's dilemmas are thoroughly complex. Here's some ideas worth thinking about when you sit down to write a lesson plan. 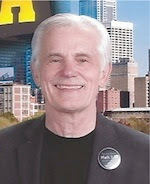 In CLIME’s 30+ years as a technology affiliate of NCTM a lot of changes have occurred in the world of technology. From the early programming days of using BASIC and Logo to today’s coding challenges we’ve come full circle. The biggest change is the development of social media (conveyance) tools that expands student’s and teacher’s opportunity to collaborate and communicate via Web 2.0 tools. There is also a plethora of dynamic math (action) software & technologies. So in the spirit of looking for examples of the above I took a deep dive into the haystack containing 759 sessions and came up with 94 that mention technology terms. 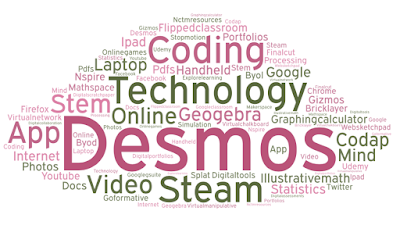 Leading the pack with 16 sessions is Desmos and its applications. STEM and STEAM have 15 sessions. Coming in third (which was a surprise to me) with 10 sessions is coding. Graphing calculators are highlighted in 5 sessions while Geogebra has only 5. Other assorted references to technology appear in 14 sessions. 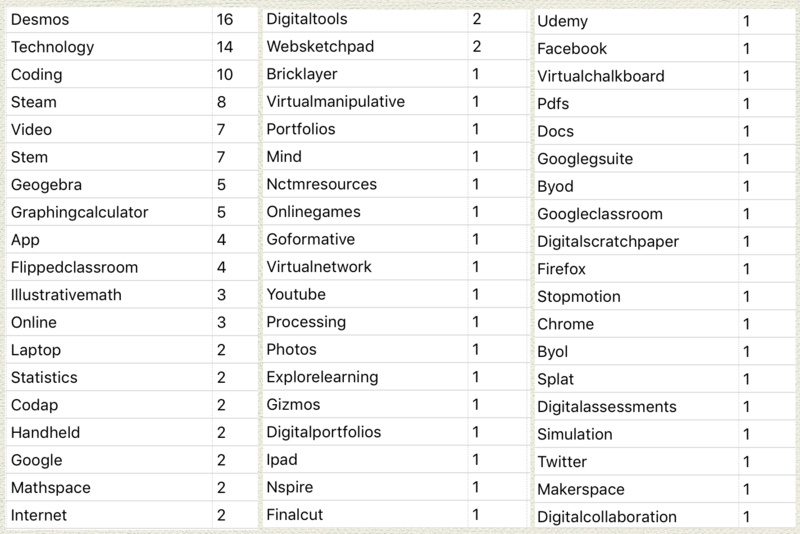 Here’s a list of all the technology related terms and the number of sessions in which they were found. It’s interesting how a program like Desmos has caught fire. It is a good graphing program which can be used as an activity builder. But what makes it inspiring is the support and leadership provided by the Desmos staff. There is only one session (#683) devoted to teachers collaborating with teachers online. That’s not to say there are not others devoted to students going online to collaborate with other students. I didn’t come up with any. Have you heard Twitter is a great way to connect to other teachers? You've created an account, but aren't sure how to leverage its use for collaboration? Chats are often a nice way to join a conversation. Join us for a burst session focused on making you comfortable with types of chats you may find and some tips on joining the conversation. The highlighted sessions are the ones I hope to attend. If you are planning to be in San Diego next month please note the date, time and place for our meeting. More details to follow in future blogs. 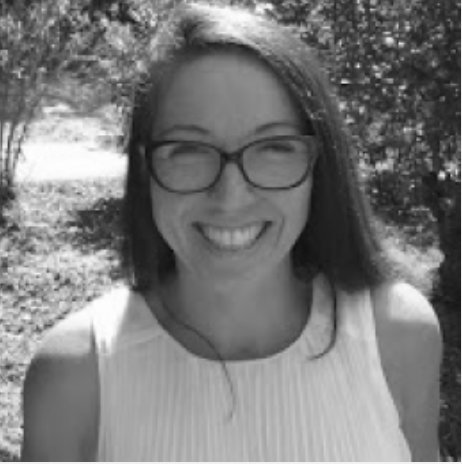 The topic for the meeting will be the same as the title of this post: Technology and NCTM's Meeting in San Diego: A Closer Look. If you wish to be removed from my mailing list, please let me know by writing Unsubscribe in an email message to me.